Oooh flashbacks waaay back to eaaaarly Supernatural when we had Azazel and the human psychics – including Sam way back in the day. Since this is a monster-of-the-week-ish episode it has to relate to some emotional issue the brothers are having. Specifically, Dean, master of not dealing with his emotions, is feeling all abandoned by Mary leaving for some space. While Sam has some sense of emotional maturity and recognises Mary may need a break to absorb the massive changes in her life, Dean is pouting that she doesn’t respond to his text within 10 minutes of him sending it. Sam, however, is less enthralled by a family who apparently let their eldest daughter die because they opted to pray rather than seek easily available medical care. He has no time for that at all. They split up, Dean pursuing his witch lead (only to find out his suspect absolutely does not want the job she now has thrust on her and absolutely no-one would. Oh and she gives Dean her number because he’s hot. Ok, I get this is supposed to be a joke and, yes, Dean is hot. But can we at least try to address the fact Dean was completely willing to murder this woman because of her religious faith). This is all explained to Sam when he is captured by them (honestly, the Winchesters really need to work on their awareness. The number of times they have been captured by people they really should have seen coming is ridiculous. Also, I’d advise a brain scan or three because being knocked unconscious every 3 episodes must be causing long term damage) because expositioning to a captured Winchester is a time honoured tradition. 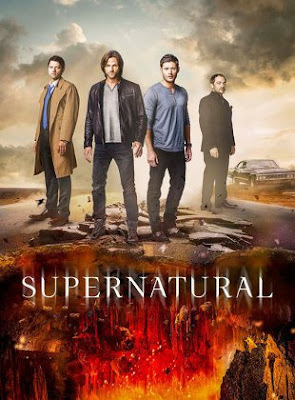 The family now realises that their secret is out (they think Sam and Dean are CPS agents) and they need to get a short cut to heaven that doesn’t involve filling their child’s mind with self-loathing while torturing them – so the religious mother decides to poison them all. She poisons dad and then tries to browbeat her son into eating the poisoned food – only thwarted by Magda using her telekinesis to get rid of all the poison. To complete the tragic bloodbath, mother tries to stab her magical daughter and her son gets in the way. This leaves everyone dead except mother who is heading to prison screaming about the devil and the daughter who is now headed to a ranch and, hopefully, ALL THE THERAPY.